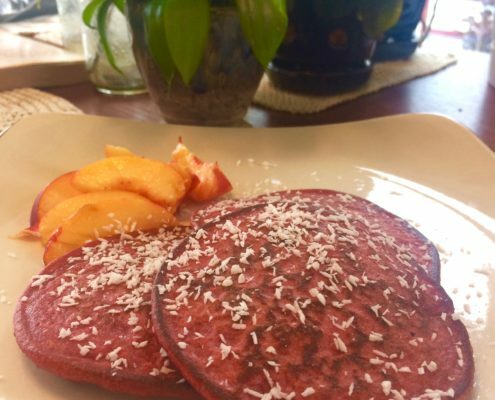 Well, you have to admit, I have very few recipes that actually call for beets but I couldn’t resist developing this beet gluten free pancake recipe! 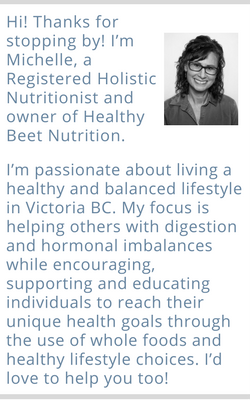 Beets are abundant this time of year so taking advantage of their health benefits is super easy. Not only that..they are really beautiful. Have any girls at home who are obsessed with everything pink? You’ll be the hit of the breakfast table with these! Beetroots are not only a full of antioxidants but are a great source of nutrients, including vitamins B3, B6 and C and beta-carotene, magnesium, calcium, zinc and iron. Beets are cleansing and are important for helping your liver and gallbladder break down toxins. 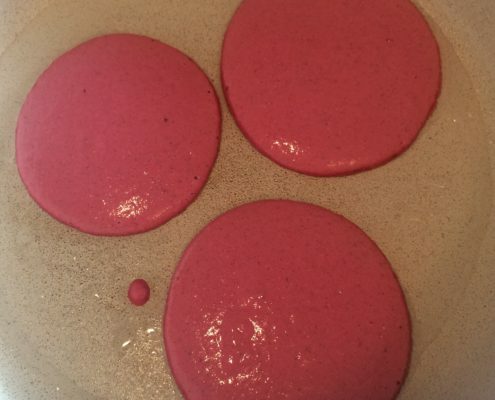 Inspired by a fellow RHN, Krista Parr of Root to Fruit Nutrition, I took her lead with an adaptation of her Spiced Oat Pancakes and added a small cooked beet. I also decided to add in some maca to give these breakfast cakes an even bigger bang for their buck providing some extra love to our hormones. You can read more about maca and its benefits in this post. Grind in oats or quinoa in food processor or blender to until flour consistency. Set aside. 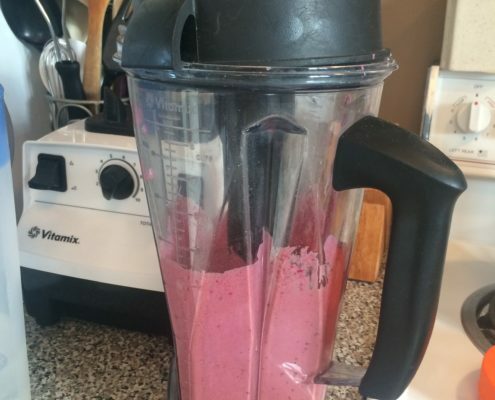 Add ingredients (except coconut oil and toppings) into your blender in the order listed and blend until smooth. Heat pan over medium-high heat and melt coconut oil, spreading around to cover the whole pan. Then lower heat to medium and scoop about ¼ cup of batter for each pancake. Cook until golden, about 4 minutes each side. Sprinkle with coconut, drizzle with maple syrup and enjoy! Looking for some other amazing breakfast recipes? I love breakfast…check these out!